WASHINGTON — The U.S. and India are working on development of a small, air-launched unmanned system that could be launched from cargo aircraft, according to Pentagon acquisition head Ellen Lord. The systems are part of a broader technology effort known as the Defense Technology and Trade Initiative, or DTTI, which seeks opportunities for co-production and development of military technologies between the two countries. Lord highlighted the drone project during a roundtable with reporters on March 15, a day after she hosted a delegation from India to discuss DTTI programs. "The fact that the Trump administration made the effort to expeditiously close on the Indian request (for Guardian drones) signals its interest in preserving close relations with India," said Ashley J. Tellis, a senior fellow at the Carnegie Endowment for International Peace. The UAV project — a collaboration between the Air Force Research Laboratory and India’s Defence Research and Development Organization — is a recent addition to the DTTI slate. The two organizations intend to write a technical planning document next month and then sign that plan during a meeting in New Delhi, which Lord will attend, tentatively planned for late September. 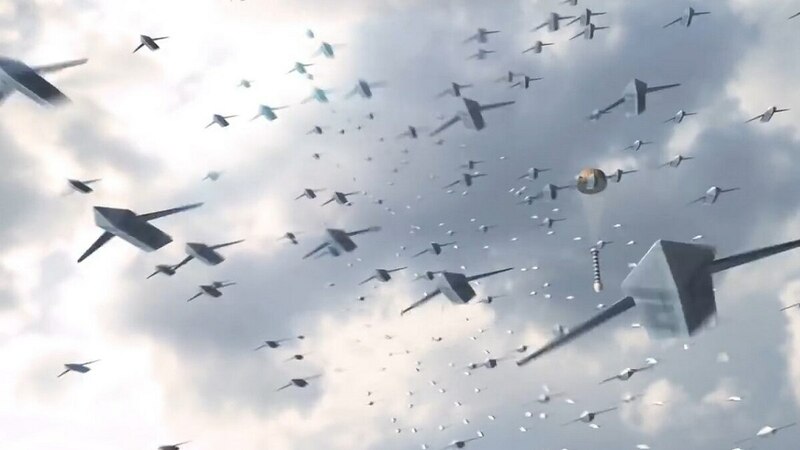 Lord declined to say if the program draws specifically from the Defense Advanced Research Projects Agency’s Gremlins program, which aims to launch and recover reusable drone swarms using manned airborne aircraft. However, she did indicate the systems could likely launch from aircraft operated by both nations, specifically the C-130J and C-17. “This is an area where there is co-development, as well as co-production opportunity, and that’s really what we’re interested in — technologies where the U.S. has brought them to a certain level and there’s an appetite for more investment, and for whatever reason we’re not able to get at that [in] the U.S. right now,” Lord said about that project. Other long-gestating DTTI projects, such as India’s desire to procure the EMALS carrier launch technology, remain in rough stasis, although Lord expressed hope the September meeting could set hard timetables for moving forward in that area. Indian bureaucracy has long entangled both the Pentagon and the American defense industry, and the DTTI program has certainly moved more slowly than was envisioned when it was launched by then-Deputy Secretary of Defense Ash Carter in 2012. “What is different now is there’s been a lot of discussion and a lot of exchanges, [and] Dr. Kumar and I are saying we need to focus on deliverables with specific dates and really document what the objectives and the potential outcomes of the project are going to be,” she said, again noting that her September visit to India should coincide with putting a number of real deadlines and developmental milestones on the table. The inclusion of industry trade groups, including two major groups based in India, has also helped get buy-in from Indian commercial enterprises, she added.